It had never happened before in the history of man that a man who was born blind recovered his eyesight. Jesus healed one leper. Just as his adversaries were trying to decide how to handle this, he then healed ten lepers, all in one go. He hit the ball straight into the court of the Jewish religious establishment. Would they be honest enough to acknowledge to Israel that he is the long-awaited Messiah? However, the pastors and the bishops of Jesus’ day would not give in without a fight. They recognised Jesus as a threat to their position and authority. Rather than validate his calling, some of them decided to put him under arrest. They sent some officers to that effect. But when they got to him, they were mesmerised by his words. Instead of arresting him, they virtually ended up joining his church. When queried for coming back empty-handed, they declared that: “No man ever spoke like this man!” (John 7:46). Jesus then performed another miracle that the Pharisees deemed impossible to all but the Messiah. They brought to him a demon-possessed man who was blind and mute. The Pharisees could only cast a demon out by his name. But if the demon was mute and, therefore, could not tell them its name, they found it impossible to cast him out. Therefore, they put the casting out of a mute demon in the special messianic category. However, Jesus healed the blind and mute demon-possessed man so completely he could not only talk, he could now see. As a result, the people were amazed and they asked the obvious logical question: “Could this be the son of David?” The “Son of David” is a euphemism for the Messiah. But the Pharisees refused to accept this irrefutable evidence. They came up with a new line of defence. They said: “This fellow does not cast out demons except by Beelzebub, the ruler of the demons.” (Matthew 12:24). Thereby, they blasphemed the Holy Spirit by wilfully calling him demonic. It had never happened before in the history of man that a man who was born blind recovered his eyesight. Even today, with our so-called modern science and medicine, doctors have not been able to recover the sight of a man who was born blind. This makes it a miracle waiting for the Messiah. Therefore, when Jesus met a man who was blind from birth, he declared that the purpose of the man’s blindness was in order that the works of God may be revealed in him. Jesus not only healed the man, he did so in a deliberately provocative manner that was pregnant with meaning. He spat on the ground, made clay with the saliva and used it to anoint the blind man’s eyes. This was designed to show he is the creator of man. Moreover, the healing took place during the feast of tabernacles. During the feast, they draw water from the pool of Siloam and bring it to the temple. However, Jesus told the blind man to go and wash in the pool of Siloam, thereby desecrating the water. Jesus also healed the blind man on the Sabbath. According to the tradition of the elders of the Jews, this is forbidden. The ruler of the synagogue admonished Jesus and his followers: “There are six days on which men ought to work; therefore come and be healed on them, and not on the Sabbath day.” (Luke 13:14). For these reasons and more, the Jewish religious establishment took great exception to Jesus’ miracle. They maintained that by breaking the Sabbath, even if to heal a blind man, Jesus could not be of God. Therefore, they questioned the authenticity of the man’s healing. They insisted he could not have been blind in the first place. They even went as far as summon his parents in the bid to contradict his healing. They insisted a wilful sinner like Jesus could not possibly perform a messianic miracle. The healed man finally shut them up with a ringing declaration: “One thing I know: that though I was blind, now I see.” (John 9:25). might have been left alone. But since he refused to deny what he had received of the Lord, they ended up by ex-communicating him from the synagogue. 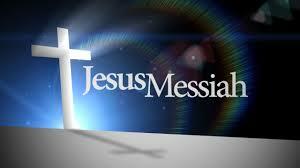 In short, Jesus proved conclusively to biblical Israel that he is the Messiah. He proved it scripturally and even proved it according to the tradition of the elders. But his adversaries were determined not to believe him. They refused to admit the evidence. Jesus was not the kind of Messiah they wanted. They even went as far as persecute those he healed. Jesus says: “If I had not done among them the works which no one else did, they would have no sin; but now they have seen and also hated both me and my Father. But this happened that the word might be fulfilled which is written in their law, ‘they hated me without a cause.’” (John 15:24-25). I am that blind man that Jesus healed. Like Moses, after 40 years in the wilderness of life, I met Jesus at the age of 41, and he opened my eyes. Like Job, I had heard of Jesus by the hearing of the ears, but now my eyes see him. (Job 42:5). But I do not just see Jesus. I see the kingdom of God. I see dead men walking along the streets. I see young men and women in churches, old and frail, dying of spiritual kwashiorkor. Jesus is my Saviour. First he saved me from armed robbers. Then he miraculously healed my bullet-ridden broken leg. This makes me a veritable witness of Jesus Christ. His witness remains till today in my body, where it shows up again and again in routine x-rays. There is a bullet in my leg, but there is nothing wrong with my leg. Glory be to God. Like those Jesus healed in biblical days, the enemies of my ministry have tried to convince themselves my healing did not take place. One atheist on my blog said the Jesus who healed me is a zombie. Another fake pastor maintains my healing must have been the work of Satan. But we have been well-warned by Jesus. He says: “If they persecuted me, they will also persecute you. If they kept my word, they will keep yours also.” (John 15:20). Soon after my healing, the Lord visited me and led me through the early chapters of Genesis. He told me he planted a garden, east of Eden. In it was every kind of precious and luscious fruit. The garden was planted by the rivers of water. And the trees brought forth their fruits seasonally.